Before reporting issues please try the Ba2 version in the downloads section. Cannon keeps equiping and unequiping really fast when I try to unequip it! This is the TRUE 'Party Starter'... Pic UL'ed. 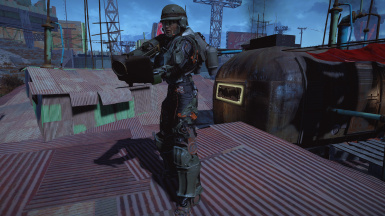 Thank you for your dedication!Have you ever considered a reworking of the Pip-Boy? Your style is so distinct, it truly deserves a unique Pip-Boy, to match!! so... its the red glare then? damn it Niero! No more cool mods... i'm running out of space. about compatability?... i noticed a couple of post below. 1. weather changers??? and, 2. partystarter??? bought it, never use it... problem? 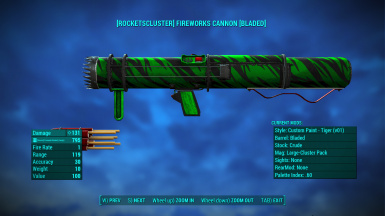 does this have the clown rocket from Maxwell world? Yes, this mod was updated after Trainwiz released Maxwell's World to enable the clown mods. 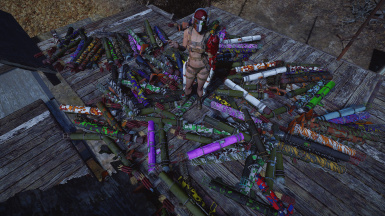 Craft the Clown barrel first and then the clown paintjob and ammo will appear in their respective categories. 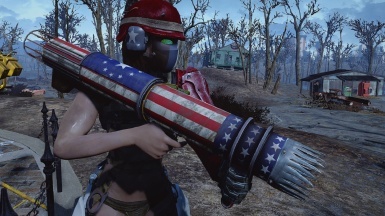 This cannon with the new Patriotic armor paint ftw! 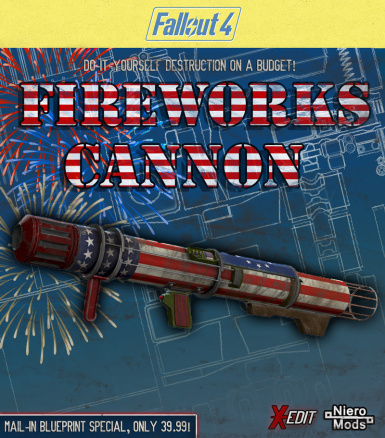 It'd be great to see it compatible with weather changing fireworks! Your xbox port has not worked since it was uploaded about 3(?) days ago. We've been posting on the Beth website with no response. 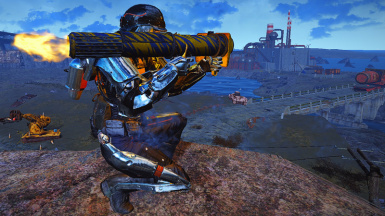 Is there any way around the mod overwriting the partystarter missile launch?